"I wish I could wear..." there's not a woman out there that hasn't uttered those five bitter words at least once in her lifetime. But instead of finding fault with our curves, our height or our pale complexions, how about wearing what we want anyway? Rules are there to be broken after all! 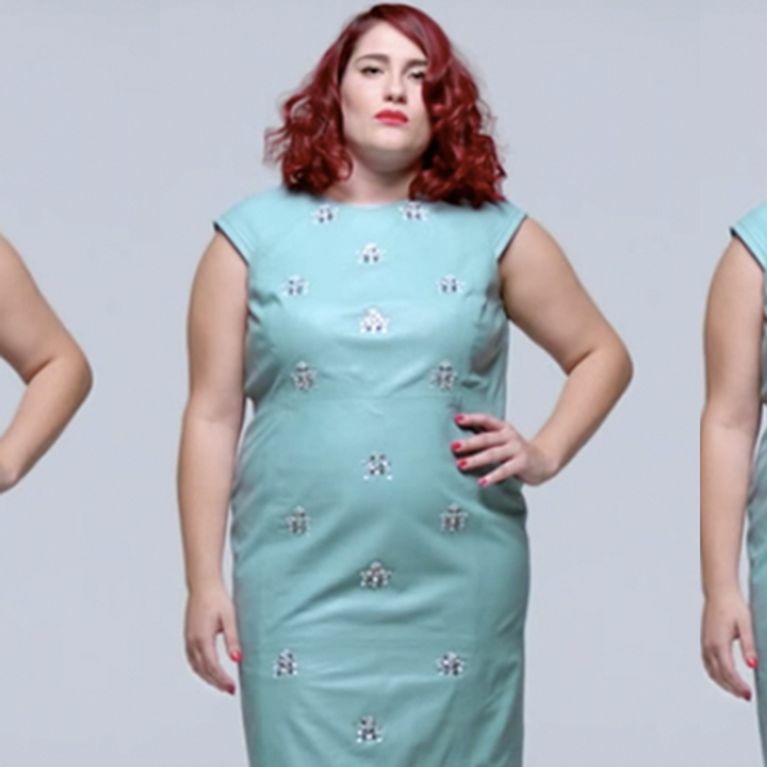 In their latest campaign, Amazon Fashion is using albino model Ingrid Behague Sockeel, 6ft fashion blogger London Tall Girl Marsha Campbell and plus-size activist Ana Pizarro, to encourage women everywhere to put aside their body hang ups and wear what the hell they want for once. High five to that! The "I wish I could wear" campaign is reaching out to women who feel excluded from the fashion game and encouraging them to feel empowered by their differences regardless of their weight, height or skin colour. Shot by the iconic Rankin, the campaign begins with Ingrid, Marsha and Ana discussing what they wish they could wear. But the second half of the video dispels these insecurities and proves that women should be able to wear what they love! If you're pale, why shouldn't you wear bright colours? If you're tall you can still go ahead and wear heels and if you're curvy, go ahead and be confident with it. Eff the fashion rules, if Winnie-the-Pooh can wear a crop top then so can we! Like what Amazon Fashion has to say about embracing our body hang ups? Tweet us @sofeminineUK!